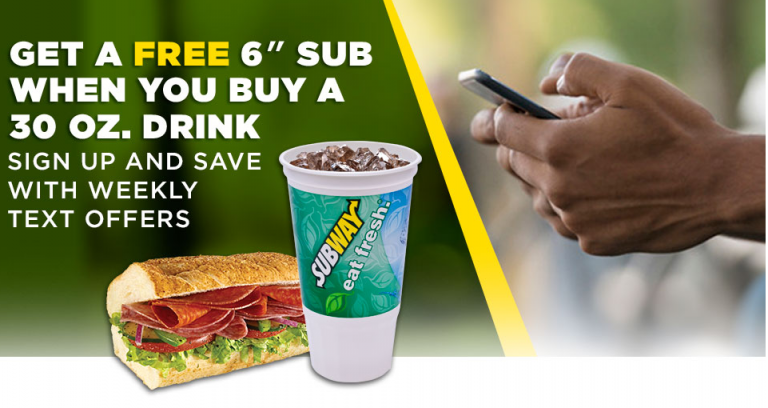 Today Only – Get a FREE Sub When You Buy A Sub & 30 Oz Drink PLUS Free Meals Donated to Feeding America! 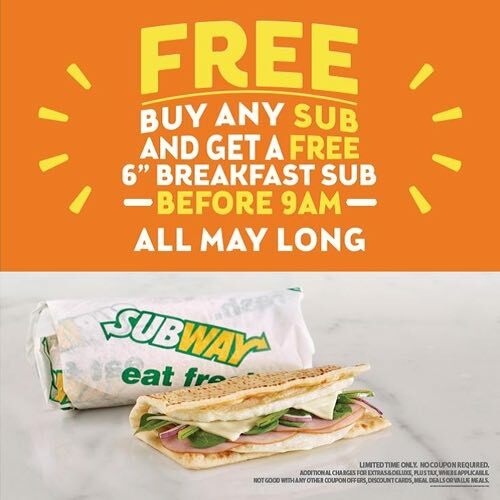 FREE 6″ Breakfast Sandwich WYB Any Sub Before 9AM! 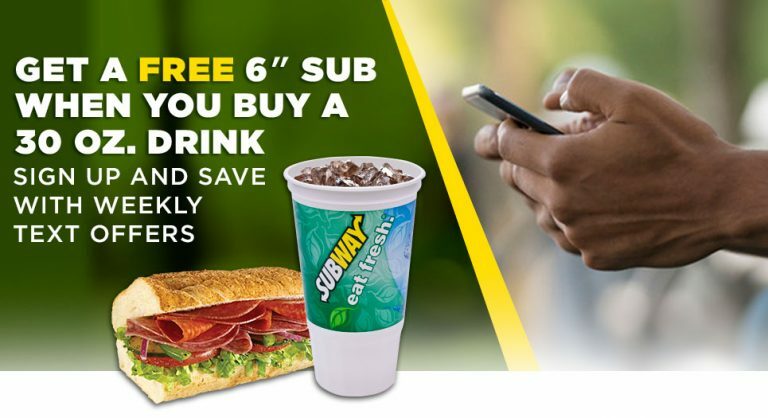 Free 6 Inch Subway Sub With Drink Purchase! 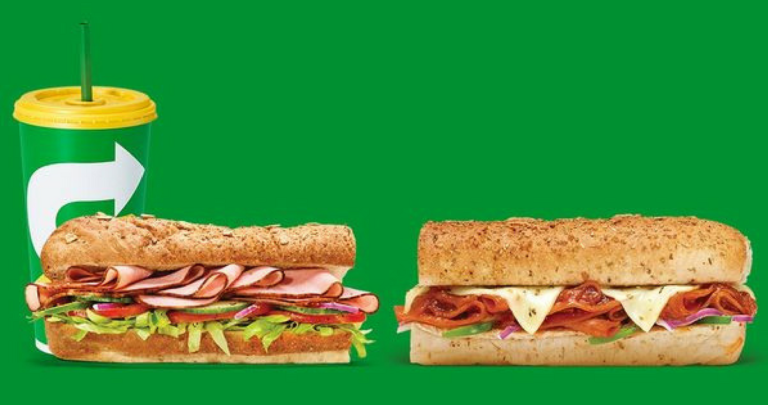 Subway: Buy One Sub & 30oz Drink and Get One FREE (11/3 Only)! 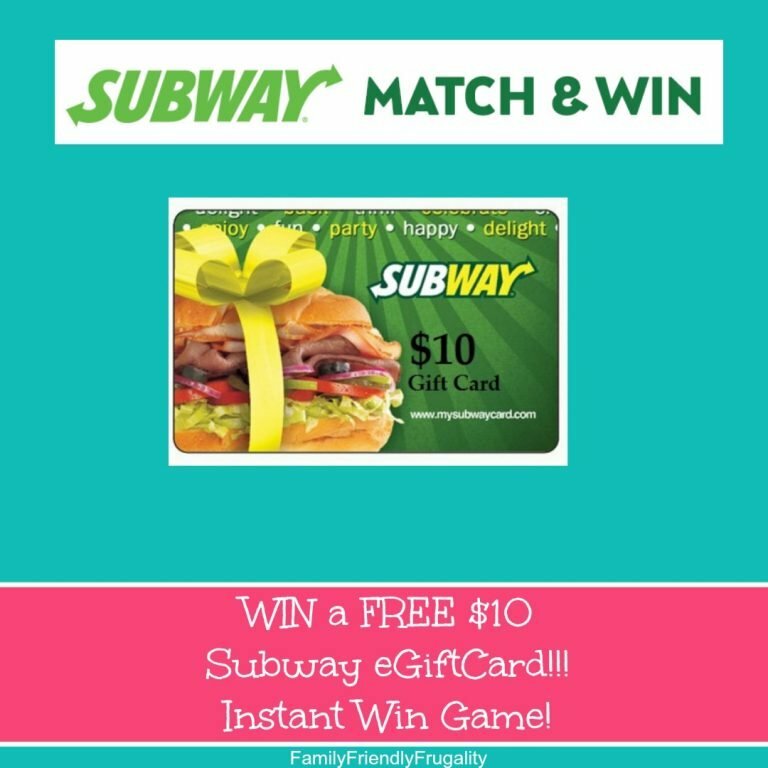 Subway: $2 Subs all December Long!